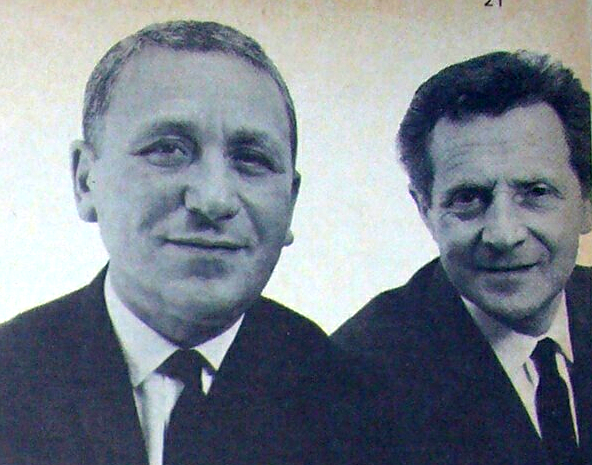 André Mizelas (left) and Bernard Greenford – one salon led to another as they followed client demand – image courtesy of HJi – Hairdressers Journal: 5 Aug 1966. Via (special thanks) Dr. Kim Smith – Fashion Design History & Theory, University of East London. Even though I trained at Ricci Burns (King’s Road, Chelsea 1973) and knew nothing of Andre Bernard, my first pair of scissors were engraved with the name Andre Bernard; they were presented to me by Robert Lobetta (who’d trained at Andre Bernard). The scissors were too small and too blunt, and I either gave them back to Robert or chucked them away – actually, he may have asked for them back!? Anyway, It was Robert who told me about the Andre Mizelas murder and I’ve been intrigued ever since. Here is what little I know; and just to say, I will be adding more information as I discover it – so please call back! Andre ‘Harry’ Mizelas (André formally changed his name from Harry to André in February 1965) was one of London’s leading celebrity hairdressers of the 1950s and 1960s. By the age of forty-eight, he was a Court Hairdresser and a partner in the Andre Bernard hairdressing chain, which had around 20 salons and employed more than 400 staff. Andre Bernard’s flagship salon was at 10A Old Bond Street, Mayfair, London W1S (the principal salon within was named The Grafton Room after their Grafton St. salon)! On the dull and chilly morning of Monday 9th November 1970 at about 08.30 A.M., Mizelas left 29, St Mary Abbots Terrace, Kensington (his Regency style home that he shared with his wife Betty of twenty-five years), in his signal red Triumph TR5 sports car for the twenty-ish minute drive to Old Bond Street, just off Piccadilly. To start off with, he turned left on to the A315 High Street Kensington, and basically headed East towards Knightsbridge, the A4 and Hyde Park corner, in the busy Monday morning traffic – it’s a very simple and direct drive, from door to door it’s about three miles. At the traffic lights where Kensington Road crosses the top of Exhibition Road, which is just past the Royal Albert Hall, Mizelas decided to turn left into Hyde Park – I assume because of heavy traffic – (Did he always do this? I shouldn’t think so). And then, once through the gates, he turned almost immediately right into South Carriage Drive, heading in the direction of Park Lane. “Yes!” And from very short range with a not very powerful .25 cal. Beretta like pistol – Bang! Bang! Andre ‘Harry’ Mizelas had been shot twice in the head; firstly in the left forehead and secondly in the left temple at about 08.40 A.M.
A young woman, who was riding her bicycle in the park, discovered the body and alerted a park-keeper, “There’s a man in a red car over there who needs help.” she said and cycled away. The park-keeper found the car parked two feet from the curb with it’s engine still running, and Mizelas slumped over the steering wheel. Obviously there were all kinds of theories at the time, Robert seemed to think the murder had London Mob written all over it! Unsurprisingly then, East End gangster Nicky “Snakehips” Gerard, son of the notorious London hit-man and gangland boss Alf Gerard, is unofficially attributed with the murder. It is believed Andre Mizelas owed £100,000 (about £1,500,000 today in 2015) to a South London money lender who gave the contract to Nicky Gerard for £5000 (£73,000 today). However, there were other theories, one being that Andre was having an affair with one of his clients, maybe she was a gangster’s girlfriend, and the shooting was ‘payback’. On a very personal note, I’ve got to say that I’m on a learning curve; this blog post is going from an article speculating on André Mizelas’ murder in Hyde Park, to a more rounded account of the fall of the Andre Bernard hairdressing chain – there is nothing, or very little, on the internet to help. It really comes a no surprise to me that Andre Bernard and Vidal Sassoon were involved in some kind of merger talks. At the time, Sassoon’s were by far the up-and-coming dominant force in the hairdressing world, and they were expanding. I would think Andre Bernard’s were feeling the competition and under pressure, especially at the Old Bond Street salon – old school versus state-of-the-art. I don’t think it matters whether we call them merger talks or takeover talks, Vidal Sassoon halted procedures on about Friday 6th November 1970, three days before André Mizelas’s murder on the following Monday morning. The merger failed because of a difference of opinion between the powers that be! And it is well reported that Vidal Sassoon said, “I am shocked,” when he heard the tragic news. 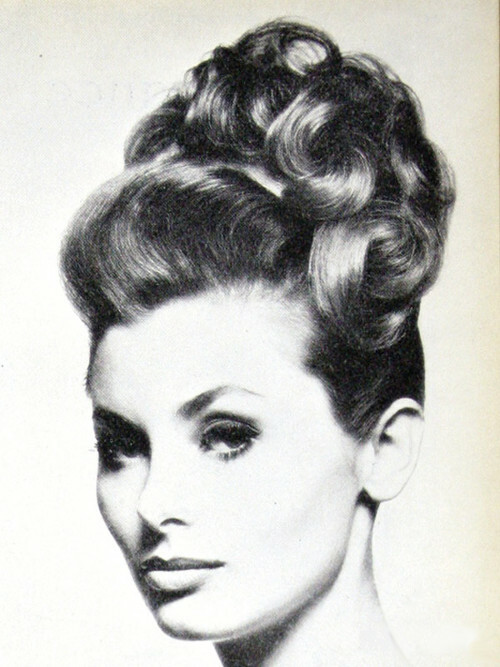 The changing face of the hairdressing and fashion industry from the mid-sixties to the mid-eighties, meant greater competition for salons like Andre Bernard and ultimately, this led to their end! This notorious murder case remains unsolved. I think Bernard Greenford was André Mizelas’s original business partner. In 1948 they opened their first Mayfair salon on Grafton Street. 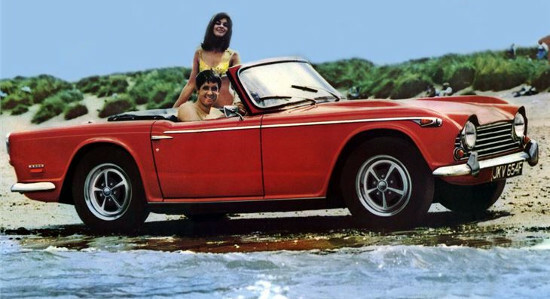 Bernard was married to Linda, who was Sybil Burton’s half-sister (Sybil Burton: formerly Williams. finally Christopher (1929-2013), was the actor Richard Burton’s first wife). The connection between Bernard and Richard Burton was important and extremely fortunate. In The Richard Burton Diaries, Burton talks of Bernard being in a financial predicament; in May 1969, he says: “Bernard is being squeezed out by his snake-in-the-grass partner Andre.” Infuriated, Burton who likes Bernard (but obviously dislikes Andre because he describes him as a, “sneaky jumped-up-jack of a fellow.”), steps up and helps him by giving him £50,000. Burton had helped ‘Andre Bernard’ from the outset, lending them substantial amounts of money. Burton says, “Without the luck of association, Andre and Bernard would have been Charlie and Harry back in Whitechapel where they started from.” Burton lent ‘thousands’ of pounds to Andre Bernard – I assume to keep them afloat and to help with expansion? Richard Burton says Bernard was being ‘squeezed out’ in May 1969, but it was around this time that Bernard left, some say that he left Andre Bernard’s in about 1967 – three years or so before André’s death. Bernard ‘Bernie’ Mizelas was André’s younger brother, he ran the northern salons and by all accounts he was a well respected hairdresser. Bernie took over when André died. He was married to Jean. It seems to me that Andre Bernard’s were going through a strange time when André died, especially because of the merger with Sassoons falling through. But Bernie came down to London and managed to sort of keep it going until the company was eventually bought out. Very many thanks to John C. for his contributions regarding Bernard and Bernie. Very many thanks to Brenda C. for her contributions regarding Bernard Greenford. Very many thanks to Marian C. for her email and contribution also regarding Bernard Greenford. Extra special thanks to Dr. Kim Smith (Fashion Design History & Theory, University of East London) for sending me the image of André Mizelas and Bernard Greenford. The Richard Burton Diaries edited by Chris Williams, published by Yale University.